This article is about the active Minor League Baseball league. For the defunct Minor League Baseball league, see Pacific Northwest League. The Northwest League of Professional Baseball (or simply the Northwest League or NWL) is a Class A Short Season minor league in the northwest United States and western Canada. The NWL's short season starts in mid-June, after major league teams have signed their amateur draft picks to professional contracts, and ends in early September. All eight teams are affiliated with a major league team. The Northwest League (or the Northwestern League) has existed in various forms since 1890, and has been in its current incarnation since 1955. The current NWL is the descendant of the Western International League (WIL), a Class B league from 1937 to 1951 (with a stoppage during World War II) and Class A from 1952 to 1954. The league reformed as the Northwest League and dropped to Class B for the 1955 season. The WIL had ten teams in its final season, with four in Canada. The six U.S. cities plus Eugene were the seven charter teams of the Northwest League in 1955: Salem Senators, Eugene Emeralds, Yakima Bears, Spokane Indians, Tri-City Braves, Wenatchee Chiefs, and Lewiston Broncs. During its fiftieth season in 2004, five of the seven original cities were in the league. The Northwest League switched to the short season schedule in 1966, with only four teams. League champions have been determined by different means since the Northwest League's formation in 1955. Except for 1956, 1960, and from 1966 to 1973, all seasons have ended with playoffs to determine a league champion. The Spokane Indians and Yakima Bears have each won 8 championships, the most among all teams in the league, followed by the Boise Hawks and Eugene Emeralds (6). Eugene is the most-tenured city in the NWL, having fielded a team in all but five of the NWL's seasons (from 1969–73, they had a PCL franchise). ^ Missildine, Harry (April 20, 1972). "Northwest League goes back to 1890". Spokesman-Review. Spokane, Washington. p. 22. ^ "Spokane gets berth in new ball league". Spokane Daily Chronicle. Washington. November 8, 1954. p. 18. ^ "Indians "on first" in baseball plans". Spokesman-Review. Spokane, Washington. November 9, 1954. p. 14. ^ "Northwest loop begins to shape into a tight seven-team battle". Spokane Daily Chronicle. Washington. June 11, 1955. p. 8. ^ Rodman, Bob (June 17, 1981). "29 years of minor league baseball". Eugene Register-Guard. Oregon. p. 1E. ^ "Northwest League assured for 1966". Eugene Register-Guard. Oregon. November 30, 1965. p. 3B. ^ Harvey, Paul, III (June 23, 1966). "4-team NWL slates 12th opener Friday". Eugene Register-Guard. Oregon. p. 2D. ^ "Northwest League: final standings". Eugene Register-Guard. Oregon. September 6, 1966. p. 3B. ^ a b "Northwest League Attendance". Northwest League. Retrieved May 24, 2017. ^ a b "Northwest League Past Champions". Northwest League. Minor League Baseball. Retrieved August 10, 2017. 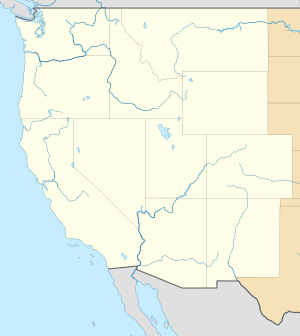 Wikimedia Commons has media related to Northwest League.